Neemias Queta entered the NBA draft per Utah State. The 19-year-old Portuguese center followed in Ignas Brazdeikis’, Yovel Zoosman’s and Deividas Sirvydis’s example becoming the latest promising European player to complete the paperwork necessary for the June 20th NBA draft. 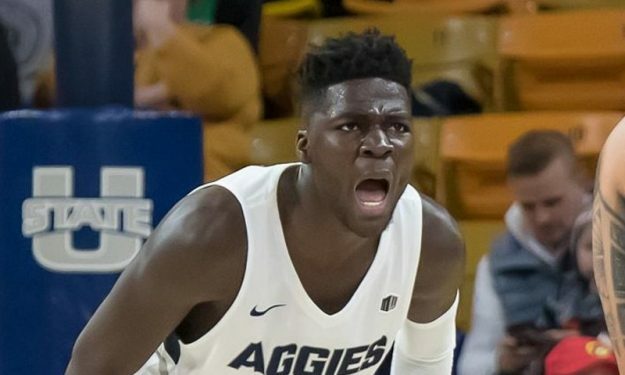 Queta started in all of his 35 matches with Utah State during the 2018-19 NCAA season averaging 11.8 points, 8.9 rebounds, 2.4 blocks and 1.4 assists per contest. He’s still raw in many aspects of his game, but his size and mammoth length has drawn the attention of NBA teams, might secure him a spot in the draft as well. In a similar development, Rik Smits’ son, Derrik declared for the NBA draft. The 22-year-old Dutch-American center is coming off his junior NCAA season with Valparaiso. He averaged 12.2 points, 5.7 rebounds and one block per NCAA game during his 2018-19 campaign.